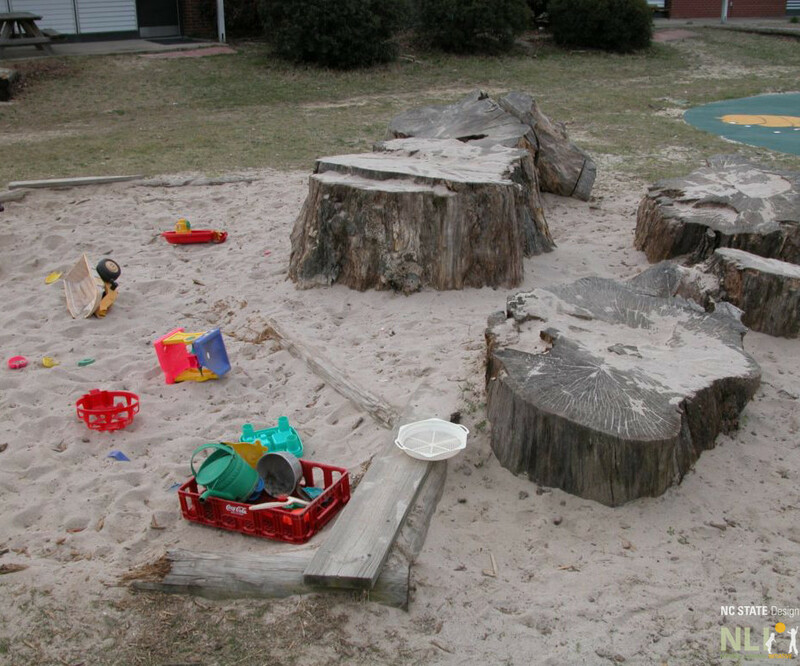 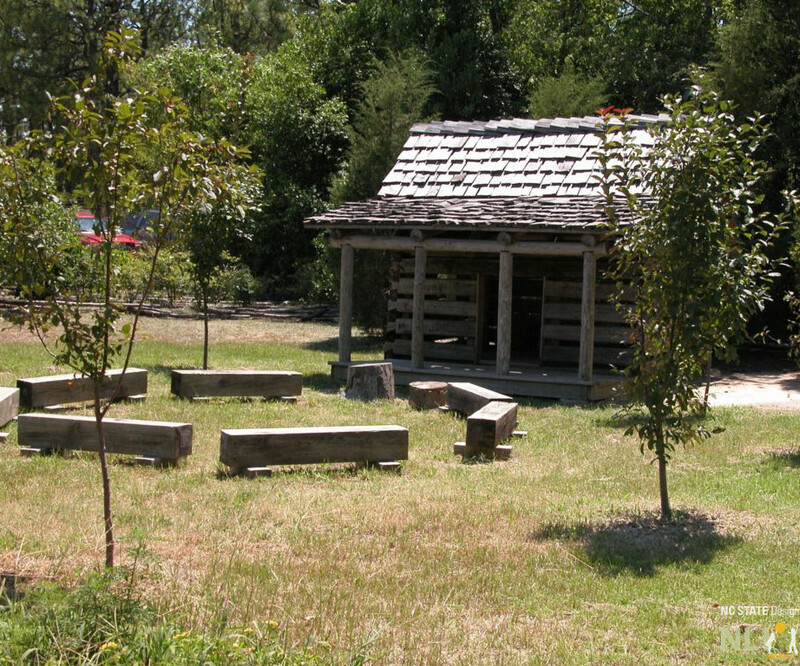 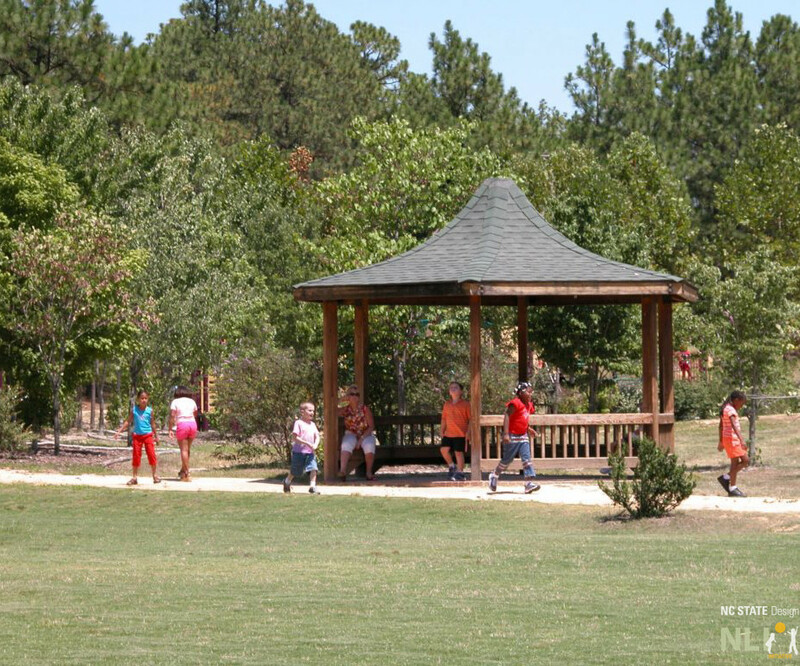 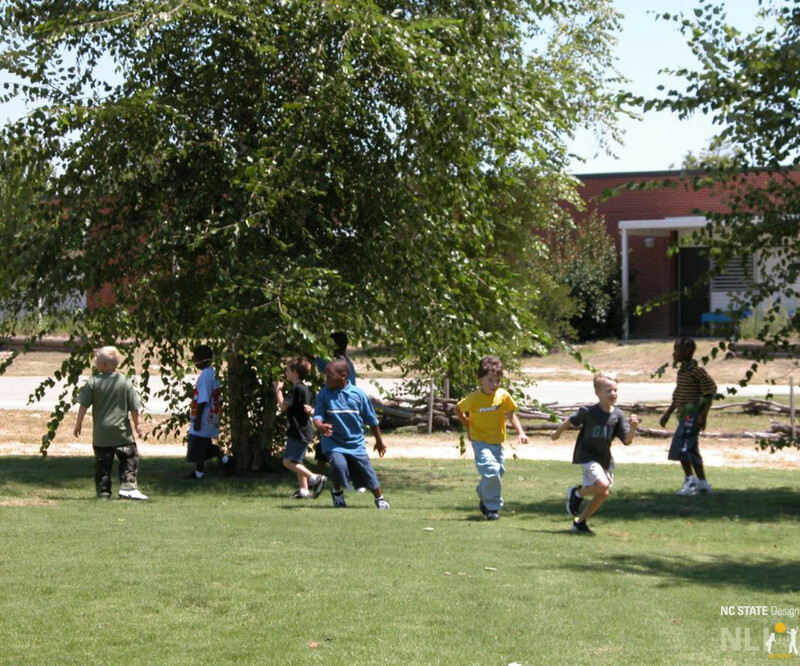 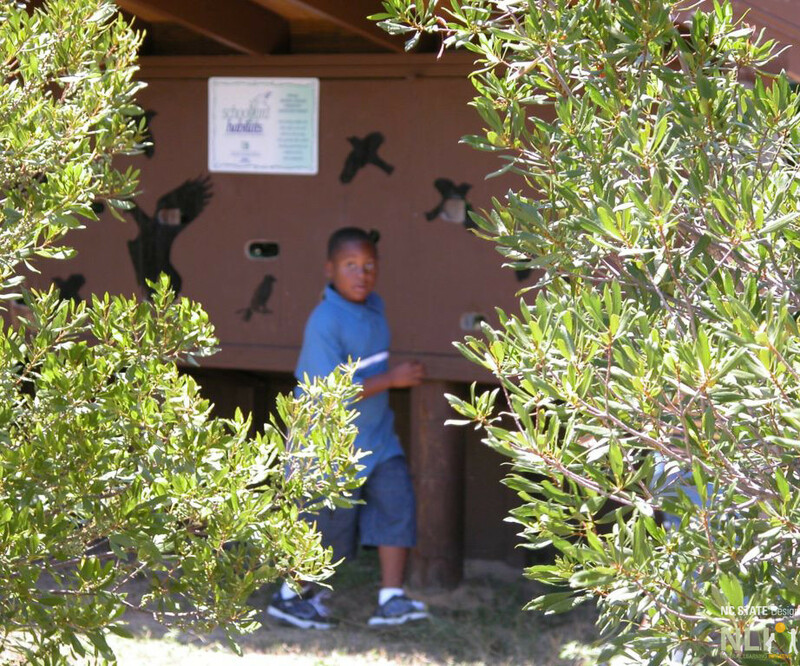 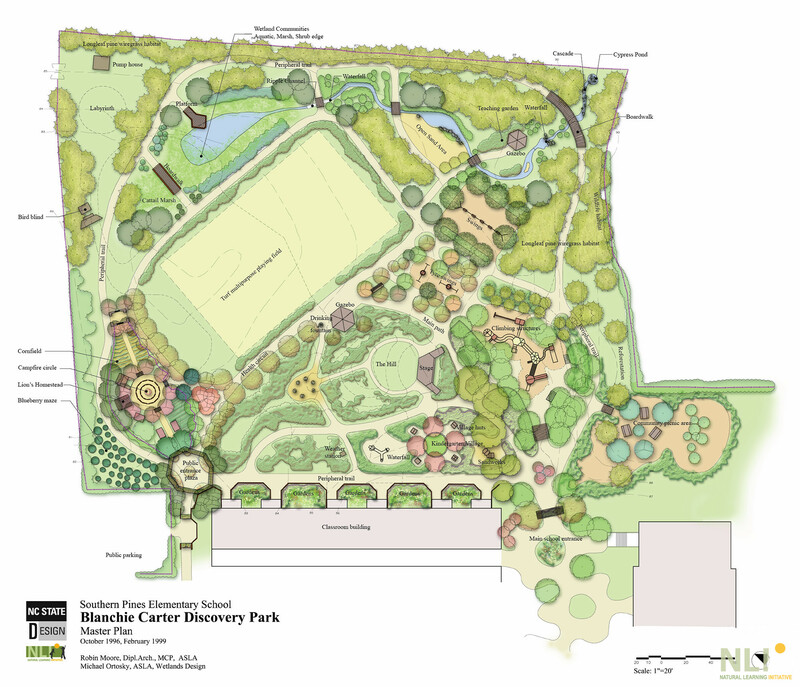 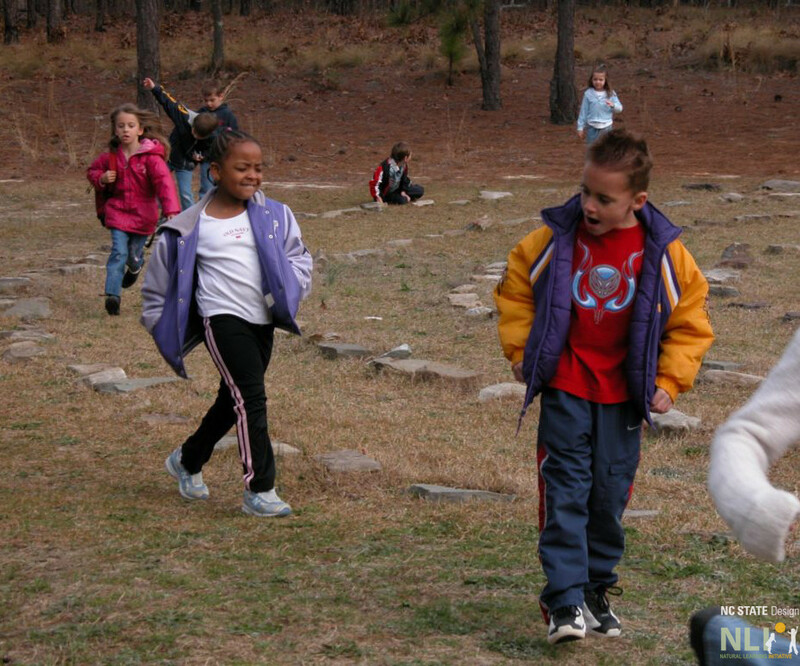 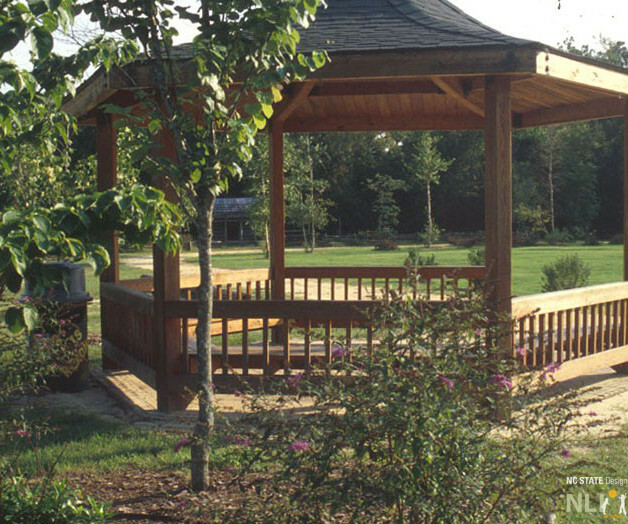 Blanchie Carter Discovery Park is a four acre outdoor play and learning environment (OPALE) located at Southern Pines Primary School in Southern Pines, North Carolina. 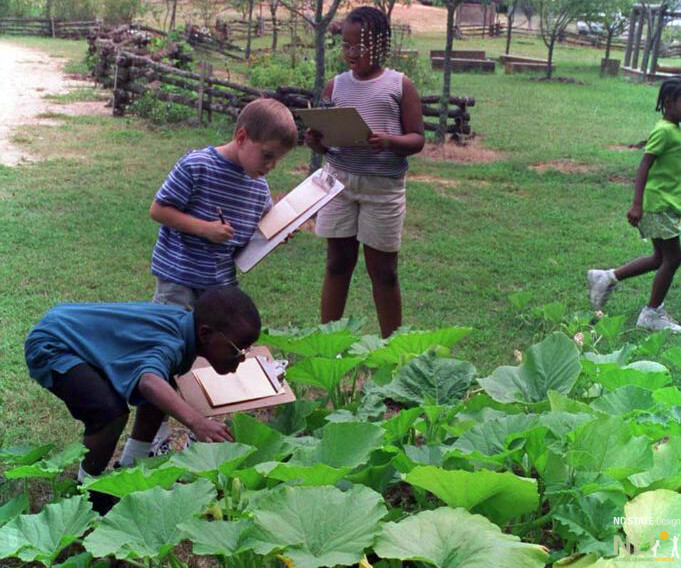 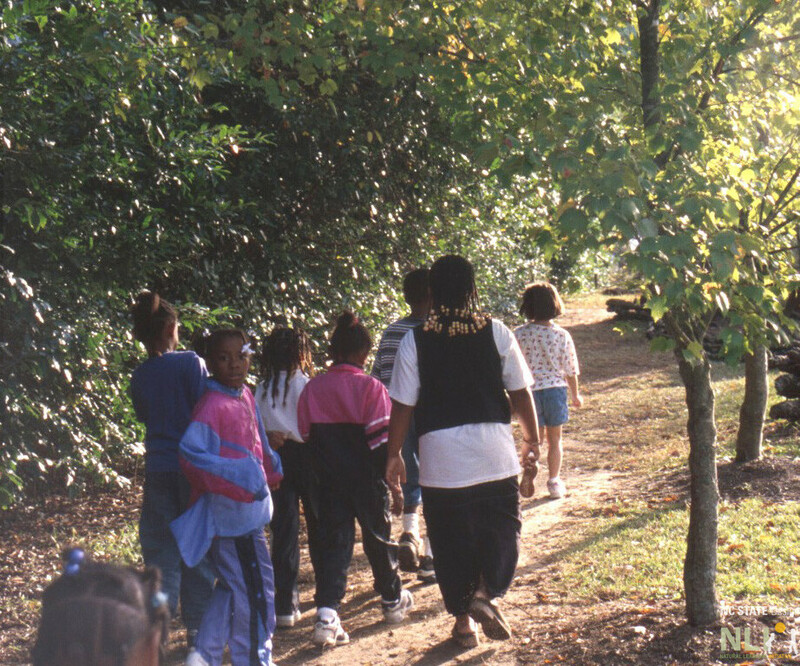 In 1995, a group of parents decided that their children deserved more than a hot, dusty, barren, unsafe playground and initiated a process of transforming the area into an outdoor classroom where children could learn through play and investigation of living environments. 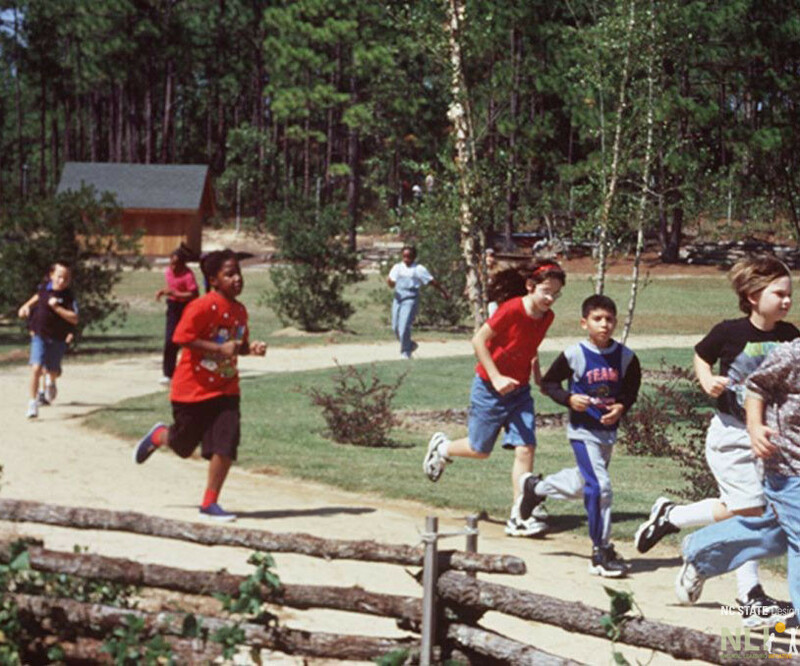 Over $150,000.00 was raised through donations from the community, businesses, civic organizations, and foundations. 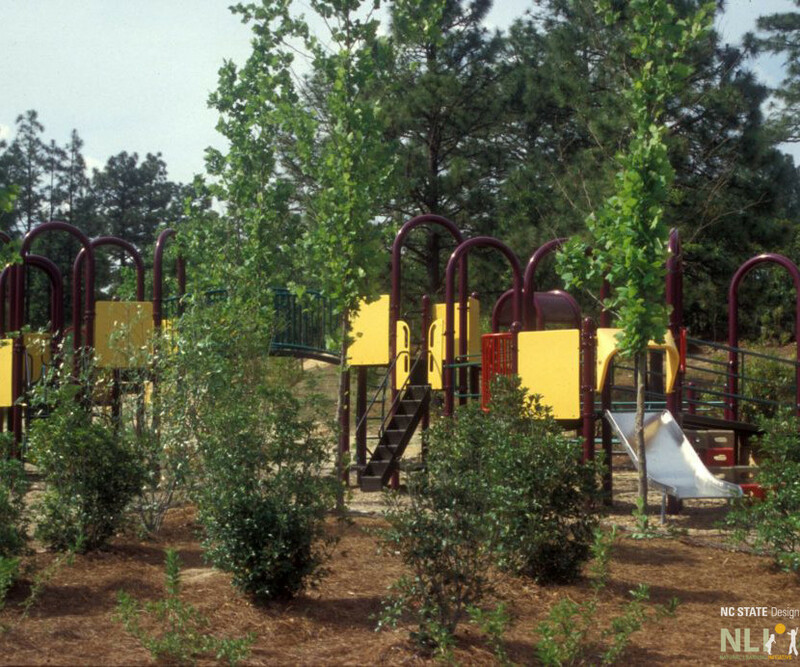 The park was designed by Robin Moore, future NLI director, to serve the serve the dual roles of park for the surrounding community and model educational resource for the school. 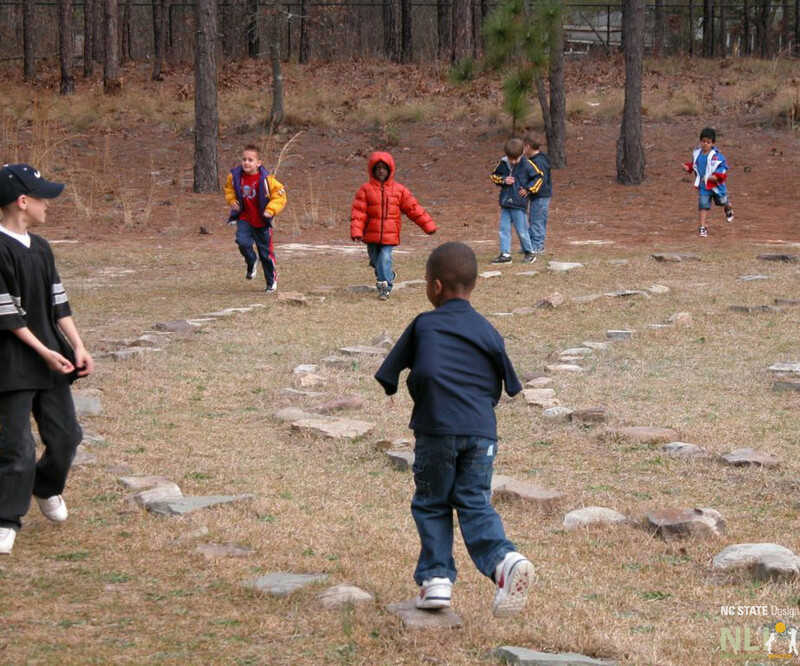 One of many visitor highlights was Susan Humphries from the Coombes Primary School, UK, who within two minutes captured the rapt attention of the children as she gave a lesson on air.